It’s just you and your mates in a hotel, braving the dark and the cold, sealed off from the outside world. But you soon find it hard to breathe. The oxygen levels are dropping, and you just don’t know why. Better get drunk, you think. You’re a goldfish, after all. 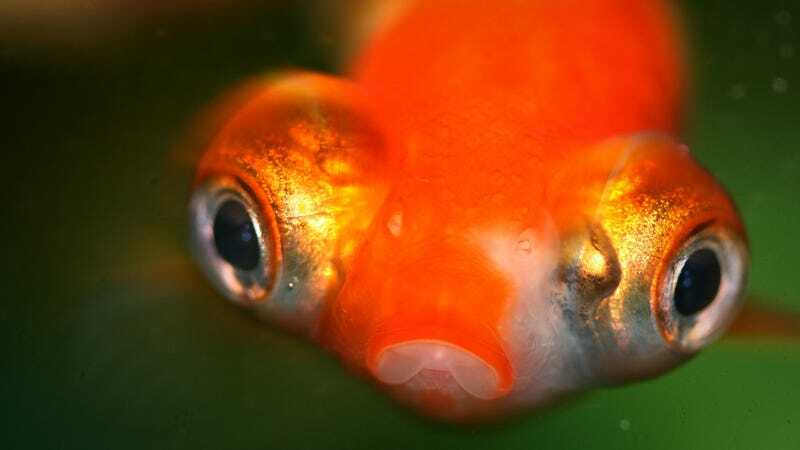 Goldfish have a special adaptation to deal with the low-oxygen environments beneath frozen ponds, one that produces ethanol which they release into the water through their gills. A team of researchers in Norway and the UK, lead by Catherine Fagernes at the University of Oslo, dug into genetics of how and why goldfish make moonshine to overcome the challenges of winter. The brewing begins once the goldfish runs out of oxygen—normally, your cells get energy from breaking down sugars in the presence of O2. When the oxygen runs out, cells move to a different process, anaerobic respiration, that produces lactic acid, which can quickly build up and cause harm—athletes might be familiar with lactic acid cramps. Scientist originally thought one group of enzymes, the pyruvate dehydrogenase complex, was partially responsible for the process. But in their new study, the team found that another enzyme kicks in in low-oxygen environments, called pyruvate decarboxylase, which is similar to an enzyme found in brewers yeast. It ensures the goldfish only release ethanol through fermentation, rather than dangerous acids. It’s sort of like an emergency snack the fish always carry around. I don’t want to encourage anyone to put their goldfish into a fridge. But, how do you break up a biological bootlegging operation? The scientists put crucian carp, a goldfish relative, into different groups in airless tanks for seven days (what Berenbrink called the “goldfish hotel”), and then took samples of their tissues and sequenced their DNA. They published their results today in the journal Scientific Reports. Evolutionarily, the researchers think what probably happened was some time in the goldfish’s past, some sperm and eggs didn’t properly halve the number of chromosomes, meaning a goldfish relative wound up with too much genetic material. That means there are places where duplicated DNA makes two sets of the same protein. If a mutation occurs in the copy, there’s still a functioning backup, so there’s more for evolution to play around with. Such a mutation process could have lead goldfish to eventually produce an enzyme normally only present in yeast or plants. I like to think of this process as similar to buying two of the same Lego set so if your horrible, screaming children get into your Lego bricks and make something horrible, you still have a working set. But maybe, your kids make something worth keeping. There’s further research to be done, said Berenbrink. The researchers aren’t quite sure how the goldfish turns the alcohol-making process on and off, he said. Additionally, he hopes researchers will compare species, to see what differences between species are responsible for alcohol production.